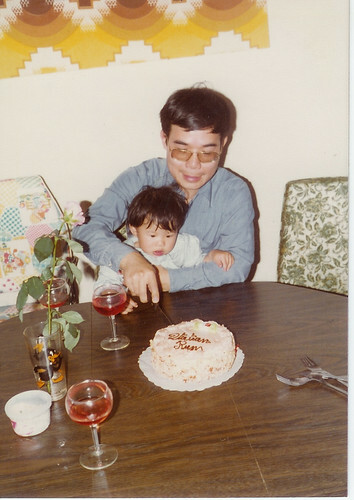 Thinking of Dadâ€¦ 4 years after his passingâ€¦, originally uploaded by @jozjozjoz. Italian Rum cake with Baby Joz on his lap. in storage, I think. Some of that stemware is still around, too. It’s so sad to think about how life goes on no matter how much we miss someone who is no longer with us. The furniture and glassware remains, but our loved ones now watch over us in heaven. Hugs to you, Joz.